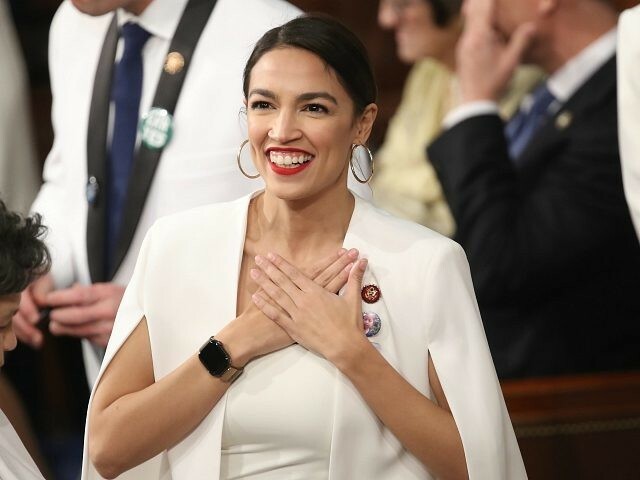 Streaming giant Netflix has shelled out a whopping $10 million for the rights to broadcast a documentary that follows the primary campaign of Alexandria Ocasio-Cortez (D-NY) and three other candidates. The film, entitled Knock Down the House, produced and directed by Rachel Lears, was a huge hit at this year’s Sundance Film Festival winning the coveted audience favorite award. The film was a hot ticket for the festival and featured a Skyped address to the crowd made by Alexandria Ocasio-Cortez herself at the film’s conclusion. Netflix pounced quickly to pick up the film rights initially offering $6 million but upping the ante when others began taking notice of the film. The film follows the 2018 primary challenges mounted by Amy Vilela (NV), Cori Bush (MO), and Paula Jean Swearengin (WV), as well as Ocasio-Cortez. The New Yorker was the only one of the four candidates that went on to win the primary and, hence, a seat in Congress. Netflix was bound and determined to win the bid for the film, but the competition was hot, Deadline reported. Aside from Netflix, NEON, Focus, Hulu, and Amazon were all in the hunt for the rights to the film. According to Deadline, the ten million price tag makes Knock Down the House the most expensive documentary sale ever brokered at Sundance.